When the Bible speaks of the second coming of Christ, it is not speaking of death, nor is it speaking of the coming of the Holy Spirit. It is speaking of the personal, visible coming of the glorified Lord Jesus Christ. What will happen when Christ comes? Many people have the idea that, when Christ comes, the world will suddenly come to an end, and everyone will stand before God to be judged. But this is not so. 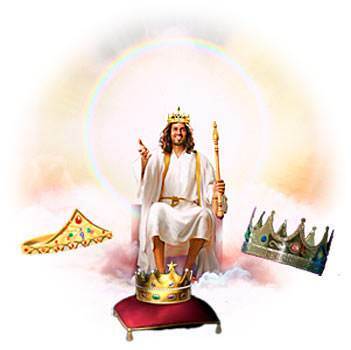 Just as there were many events related to Christ's first coming, so there will be many events related to His second coming. Christ's second coming will be in two parts. The first part is "the Rapture," which takes place when Christ comes for His believers. The second part is "the Revelation," which takes place when Christ comes back with His believers to establish His kingdom here on the earth. For unsaved people, the Lord's coming will be a fearful time, but for all believers, Christ's coming will be a time of great joy. He is coming to take us to be with Him. He is coming as a Bridegroom, coming for His Bride! The Church, the Bride of Christ, is composed of all believers. When Christ comes for His Bride, the people of the world will not see Him at all. He will come secretly for His believers. Christ will not actually come to the earth at this time, but we will be caught up to meet Him in the air. Three great miracles will take place when Christ comes for His believers. Believers who have died will be instantly resurrected. The very first event at the coming of the Lord will be the resurrection of "the dead in Christ." The early Christians were very concerned about the believers who had died. 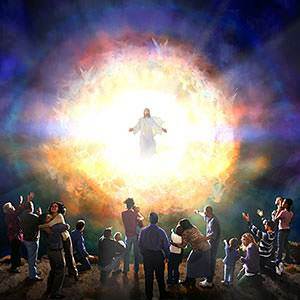 They knew that the Lord was coming back some day to take his believers to be with Him. But what about those who had died? Would they miss out? The coming of Christ brings the miracle of instant resurrection—"the dead in Christ shall rise first." These bodies in which God's saints have lived and loved, suffered and served, these bodies which have gone down at last into death and the grave—these bodies shall rise! Believers who are living when Christ comes will be instantly changed. God is letting us in on a strange and wonderful secret. 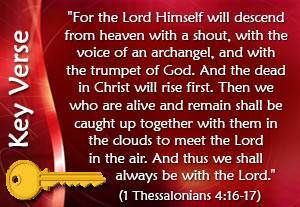 When Christ comes, there will be a trumpet blast from the sky, and all Christians who have died will suddenly become alive, with new bodies that will never, never die. Then we, who are still living, shall suddenly be changed. We, too, will have new resurrection bodies. Not all believers will die, but all will be changed. 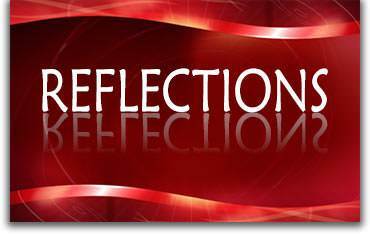 The Bible says, "Flesh and blood cannot inherit the kingdom of God." 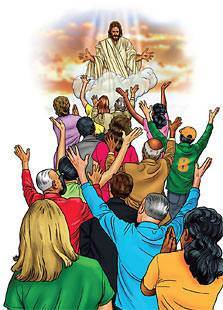 (1 Corinthians 15:50) We must have a different kind of body to go to heaven. And God will give us one. The believers who are alive when Christ comes will never see death. Instead, they will be instantly changed. Their bodies will be made like Christ's glorious resurrection body. All believers will be instantly taken to heaven. The third great miracle is that all believers will be instantly transported to heaven "to be forever with the Lord." We will not need space suits or space ships—the Lord Himself will take us to heaven instantly! All of this will happen so quickly that the world will not know what has happened. Unsaved husbands and wives will wake up to find their believing mates missing. Parents will be frantically trying to locate missing sons or daughters. Young people will be looking for brothers or sisters or friends who have suddenly disappeared. Unsaved people may write this off as impossible, but think of the many "impossible" things man has been doing. Think of putting a man on the moon. Think of instantly transmitting colour pictures around the world by bouncing them off a satellite. Think of telephone engineers being able to take sand and make one-half inch silicone cable through which they can send 16,125 conversations simultaneously! If man, with his limited abilities, can do all these amazing things, do you not think that God, with all His infinite power, can do what He says He will do? We shall be conformed to the image of Christ spiritually. Every believer experiences for himself the fierce conflict that goes on in his life between "the flesh"—the sin nature transmitted to us from Adam—and the Spirit. This "battle" begins when we are born again and continues as long as we are in our body. 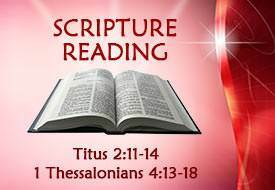 But thank God, one day we shall be forever delivered from this conflict, for we shall be like Christ spiritually. This is not a judgment of the believer's sins. Believers know, or ought to know, that Christ bore all their sins on the cross, and they will never come into condemnation for their sins. This will be a judgment for rewards. Some believers will receive great rewards from the Lord because they were faithful in serving Him. Others will be ashamed because they did not live for the Lord. The grace of God not only "brings salvation," but it teaches us how we are to live in this world. * We are to deny "ungodliness and worldly lusts." Unsaved men may be religious and have "a form of godliness," but it has no practical effect in their lives. Instead of being held in check by the fear of God, they are controlled by "worldly lusts." They are lovers of self, lovers of money, and lovers of pleasure. The believer who has come under God's grace turns his back on all this. He denies ungodliness and worldly lusts. He takes his stand against sin and the lust of the flesh. He yields himself to God, to do His will. 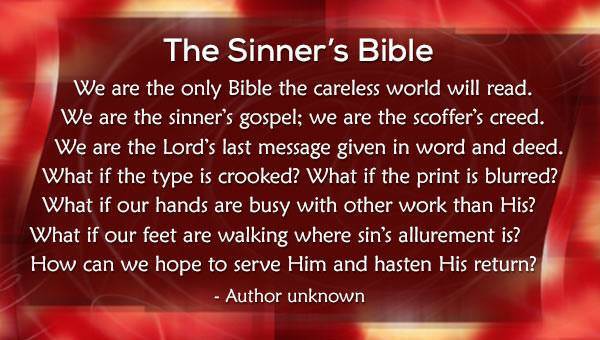 * We are to live "soberly." Living thoughtfully and humbly will save us from many problems in getting along with other people. If the great apostle Paul said of himself that he was "less than the least of all saints," how great are we? * We are to live "righteously." To a large measure, the unsaved people of the world judge us by how we handle money matters. They do not think much of a professed Christian who does not pay his debts and make restitution or repayment for any wrong he has done. * We are to live "looking for that blessed hope, and the glorious appearing of the great God and our Saviour Jesus Christ." When Christ comes, He wants to find His believers "watching and waiting" for His return. We know that many terrible things are ahead for the world, but the Lord does not want us to be taken up with these things. He wants us to be looking for His soon return. The world's wealth and splendour—all its glittering attractions—lose their charm and power over the man who knows the Lord Jesus as his Saviour and who is continually expecting the Saviour's appearing to translate him in a moment to the endless glories of heaven. The coming of the Lord for his believers is "the Blessed Hope" of the Christian. The word "hope" as it is used in the Bible is not just a feeling that what we want will happen, but a blessed future certainty. Its fulfilment is absolutely sure. God has told us it will happen. It is called a "hope" because it is still in the future, but we know that it will take place. Unsaved people may laugh and scoff, but God's Word is clear—Christ is coming for His believers. When God says that something will take place, there is absolutely no doubt or uncertainty about it. God has given us five mighty "shall's" concerning the coming of Christ. * Christ is coming for His believers. * He may come today! * Will He find us "watching and waiting?" We are saved by grace alone, but our place during the glorious kingdom age, when Christ reigns on this earth for a thousand years, will be determined by how we served the Lord after we were saved. The first great act of power of the Lord Jesus, when He returns for His people, will be to give a glorious resurrection body to every child of God on the face of the earth, wherever they are. This is "the Blessed Hope"—the return of the Lord for His church. When Christ comes, He will be like a conquering military commander capturing an enemy city where his family is in prison. He says, "I must release my family first." The grace of God gives us heaven, but our place during the thousand-year reign of Christ will be determined by how we have used the abilities, wealth and opportunities that God has given to us. 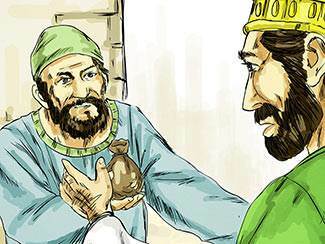 In Luke, chapter 19, Jesus likens Himself to a nobleman who went into a far country to receive for himself a kingdom. 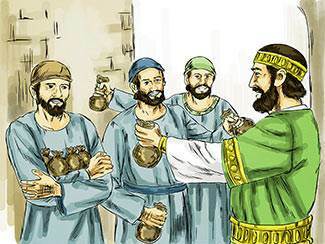 He called his ten servants and gave each a large sum of money. He set them up in business and told them to invest the money for him until he returned. When he returned he called his servants before him to find out how much each servant had gained by trading. One servant said that he had earned ten times the original investment. His lord was pleased and said to him, "Well done, good servant; because you were faithful in a very little, have authority over ten cities." The next servant had gained five times what his lord had entrusted to him. His lord said to him, "You shall be over five cities." But one servant had gained nothing with what his lord had entrusted to him, and his lord was displeased with him. This parable shows us what we are saved for. We are saved in order to handle the Lord's goods in a worthy manner. The Lord has set us up in "business" and given us "capital" to trade with. We have been entrusted with the gospel—the "good news" of the grace of God, and we have been given the Holy Spirit. By God's grace may we be a faithful servant in that which the Lord has entrusted to us so that we may hear Him say, "Well done, you good and faithful servant! Enter into the joy of your Lord."